When a Professor-guide himself is accused of infringing copyright of a student-scholar, such a scholar has right to complain, right to know and Right to Information about the action on the complaint under RTI Act, the Central Information Commission has said while directing the Indian Statistical Institute (ISI) to share marked copies of thesis to a Ph.D. scholar who claimed copyright violation and plagiarism by his own professor and another scholar. Central Information Commissioner Prof. M Sridhar Acharyulu also directed the ISI to pay a compensation of Rs 5,000 to the scholar for being denied information for so long leading to harassment. In the instant case, Ph.D. scholar Prashant Kumar Sinha approached the CIC through advocate Shoumendu Mukherji claiming that his dissertation to the Indian Statistical Institute, Kolkata, submitted way back in July, 2005 as part of his M. Tech. degree, was copied verbatim by Prof. Bhabani Prasad Sinha and published in Asian Mobile Conference International Journal in January 2006 in his name and that of another scholar as authors. He had filed a complaint with the Director of Indian Statistical Institute (ISI) and the Editor of the Journal but said they gave evasive replies and supported authorship claim of Prof. Sinha without any basis. Mukherji alleged that the mathematical arguments, language and even punctuation marks were copied verbatim and his client wrote numerous complaints to ISI, including RTI requests starting 14.10.2008, however the institute brushed aside his allegations of plagiarism without enquiry and instead made counter allegation that Prashant’s thesis was in fact copied from an initial draft paper authored by his supervisor Prof. Sinha in 2003. Mukherji informed that Prashant had filed RTI application with ISI requesting for information related to Prof. Sinha’s initial draft with all the markings along with the evidence of claimed authorship and its date. “…the marked / underlined paragraphs of the 2003 initial paper (which will apparently contain notings of the professor showing portions of the thesis which are said to be plagiarised), his dissertation thesis, and 2006 published paper were not pointed out which would lay bare the truth once and for all,” said Mukherji. Prashant had moved first appeal in 2015 but in vain forcing him to move CIC. 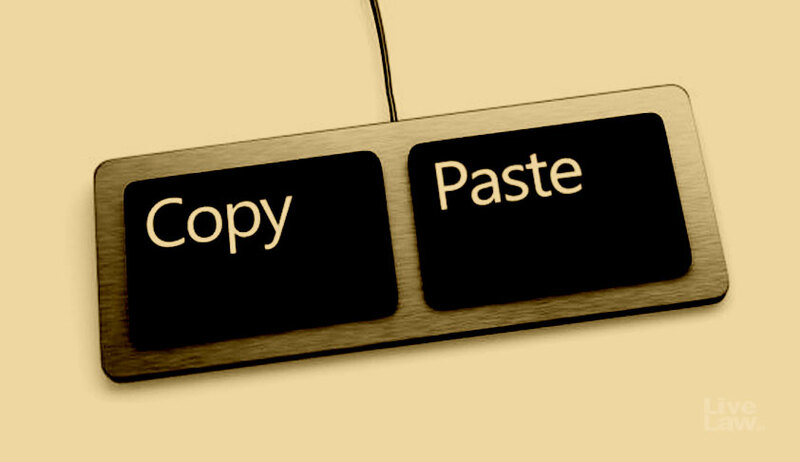 Has ISI taken measures to detect plagiarism? The CIC, in its order, noted that, “According to the UGC regulations, the Academic Council (or its equivalent body) of the Institution shall evolve a mechanism using well developed software and gadgets to detect plagiarism and other forms of academic dishonesty. While submitting for evaluation, the dissertation/thesis shall have an undertaking from the research scholar and a certificate from the Research Supervisor attesting to the originality of the work, vouching that there is no plagiarism and that the work has not been submitted for the award of any other degree/diploma of the same Institution where the work was carried out, or to any other Institution. As per these guidelines it is the responsibility of the Academic council to ensure that due diligence is conducted and that there isn’t a case of academic dishonesty. The CIC noted that Section 63 of the Copyright Act provides for three-year imprisonment and a maximum fine of Rs 2 lakh. On Commission’s order, Sanghamitra Bandyopadhyay, the Director, ISI, submitted on July 20, 2017 that in compliance of directions of the CIC, a three-member committee was constituted to investigate the allegations as recorded in the Order of the Commission and the allegations levelled by Prashant Kumar Sinha in the context of plagiarism were “completely unfounded”. He also submitted that PK Sinha was an M.Tech. student of the Institute and not a research scholar. As per the guidelines given in the student brochure of the institute, an M.Tech. dissertation may also be a review of recent advances with some contribution by the student and hence need not be original in nature. The CIC order notes the Director’s submission that, “So far the allegation of plagiarism was never reported in this Institute of National Importance and therefore plagiarism testing was never found necessary before. Since the dissertation material of the student was by and large a review of earlier works, copying of any text from the paper published in 2003 was acceptable provided the reference was adequately cited”. Since the Commission had on July 3 directed that the information be shared with the applicant, the CPIO told the CIC that the letter by Prof. Sinha sent to the Director, ISI, has been already sent to the appellant. But the same contained no information sought and first appeal was filed in 2015. After hearing all parties concerned, the CIC noted that though its orders have been complied with to a large extent, “the appellant wanted to know details of their counter allegations. He demanded copies of his papers, marking paragraphs, which were allegedly copied from their papers”. “The second appeal regarding action taken information on plagiarism allegations lead to counter allegation against the appellant. It appears no action on the plagiarism allegation either by or against the appellant, which reflects the quality of administration in Indian Statistical Institute. The Commission considers the Director Mr. Sanghamitra Bandyopadhyay, as deemed CPIO, and direct him to inform the appellant about details of action taken on his complaint and if action is not taken, reason for the same”. The Commission further directed the respondent authority to provide Marked P1 Paper and Marked P2 Paper and Marked PKST Thesis (as mentioned by Respondent in Letter No. D.O.I. 14785, dated 09-Jan-2009) to the appellant, in the form of certified copy, within 15 days.